This is my new obsession. A website devoted to posting a new photo of an adorable otter, every. single. day. Useless? Heck no. How can you not feel a bit of a happy lift when looking at an adorable otter? So much cuteness in these picures. I agree; sadness is not an option after looking at this. Oh my gosh! So cute! is that an otter kissing a goat? If you appreciate these pictures there is a book called "Okee, the Otter" by Dorothy Wisbeski. Lots of pictures and a great story about having an otter in her house. My mother knew the family and she and my brother actually ran into Wisbeski and the otter out at a local farmer's market. They are really cute. No doubt about it. 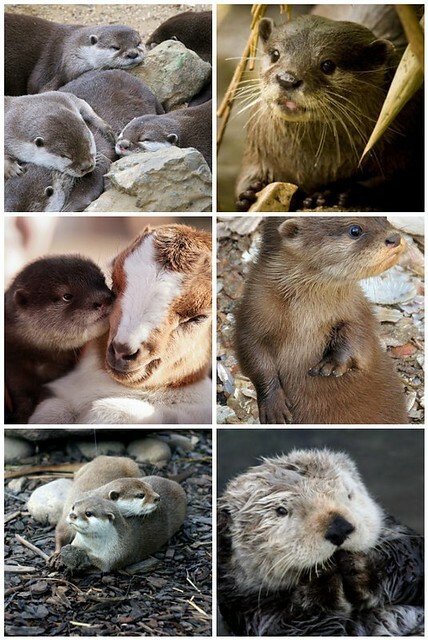 I really like the photo showing the otter getting cozy with the other cute animal. Aw! I spent an hour (I kept going back!) in front of the Otter tank at the Shedd Aquarium, they are adorable! Oh gosh. They certainly are cute! haha. She speaks the truth. This is the best thing to happen to me since I discovered The Daily Puppy. You have made my week! This otter is absolutely adorable! Who knew otters were so cute? Thanks for the photos! Ack! They're so, so cute! Thanks for sharing. That didn't take long. 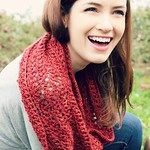 Ordered the new cowl, Sugar and Creme pattern. Gonna start today, I think.